Sullivan’s Summer Splash… At the Maine-Anjou & Chianina National Junior Show! | TODAY! We’re introducing a new take on our wildly popular, Sullivan Supply’s Ultimate Warrior Bootcamp this summer! 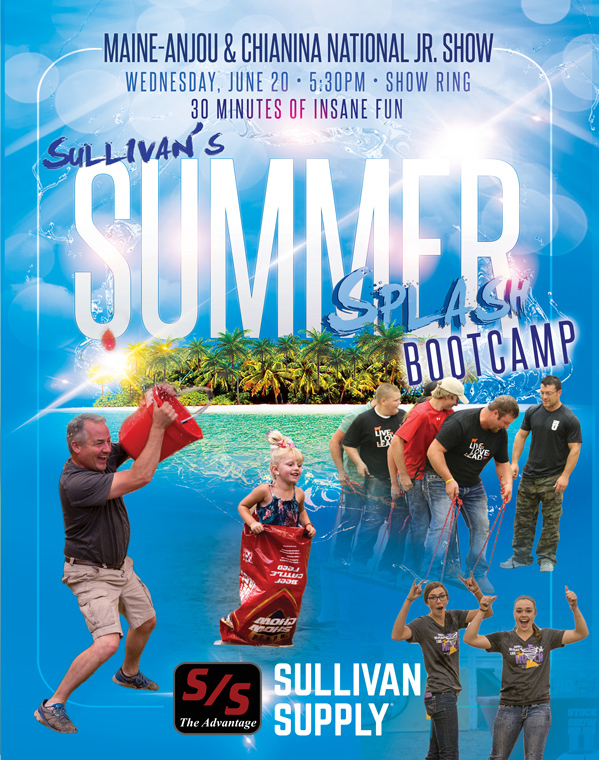 The Sullivan’s Summer Splash will be a revamp of the original Warrior Bootcamp with new games, with the same insane fun for ALL ages. Check out the informational flyer for the Maine-Anjou & Chianina Natioal Jr. Show!